Click on any committee to get the chairman’s information and download brochures, reports, forms, petitions and more. Click here to download the free Adobe pdf Reader. The AMERICANISM Committee shall formulate ways and means by which the State Association, its Lodges and members, can most effectively preserve patriotic feeling toward the government of the United States of America, and to supervise and promote programs in furtherance of said objective. The goal of the Americanism Committee of the California-Hawaii Elks is to increase patriotism in our Lodges, homes, schools, communities and nation. As members of the Benevolent and Protective Order of Elks, it is our sacred duty to see that our glorious Flag ever flies; that proper tribute is paid to our Military and that the spirit of Freedom never dies. Rules – What Makes You Proud of America? The creation of the BLT Legacy Giving (BLT) Committee in 1984 set the stage for ensuring the financial future of the Major Project. Amounts under $500 go directly to help underwrite Major Project expenses for the year in which they are given. The establishment of the BLT Legacy Giving Fund in 1991 designated gifts of $500 or more to be placed in a special account. BLT gives all Elks an opportunity to participate in the Major Project through a living trust fund. There are also other options available through the BLT Committee. The Blue Coat Committee shall work with the vendors and Exalted Rulers in purchasing and ordering their Blue Coats to be worn at functions and events such as the Annual CHEA Convention, Grand Lodge Convention, Mid-Term Conference and other Elk functions. The BUSINESS PRACTICES Committee shall formulate ways and means to assist the Lodges of the Association to maintain sound financial operations. It will disseminate information and provide supervisory coordination to ensure fiscal responsibility and financial stability. The Business Practices Committee exists as a resource to Lodges for achieving sound financial conditions in all facets of their operations. When requested, we will provide training to Districts on various typics to ensure compliance with all laws and CHEA mandates. For information on the Lodge Management Program, please visit our Lodge Management Program informational page. The CLMS Committee shall provide training and support in the use of the CLMS program. It shall disseminate all information received from Grand Lodge concerning the CLMS program. See more about Elks assisting with Drug Awareness. Click here. The GOVERNMENT RELATIONS Committee shall develop a well organized “grass roots” network of informed members throughout California and Hawaii who will be responsive to calls for assistance in combating all matters adverse to the Order of Elks on a national, state or local level. Personal relationships with government officials and legislators are to be encouraged and developed wherever possible. The ELKS HOOP SHOOT Free Throw Contest Committee shall serve to highlight the Elks Commitment to the nations youth, encourage family participation and help develop the character of our youth to better qualify them to become good citizens and the leaders of tomorrow. Find out more about how Elks are helping kids have fun, build relationships, and gain recognition for skills in the Hoop Shoot Program. The NorCal and Hawaii final scores will be compared to determine the winning scores, and then the scores will be compared with the SoCal final scores to crown the six California-Hawaii state champions. The winners move on to Las Vegas on Saturday, March 9, 2019 for the West Region 7 finals. See the Elks National Hoop Shoot Free Throw Program by clicking here! Order basketballs and soccer balls directly from the manufacturer! Download the order form. For more information on the Hoop Shoot program, please visit the Grand Lodge Hoop Shoot page. The INSURANCE AND SAFETY Committee shall preserve and protect the property, assets, and members of our Subordinate Lodges. The Committee participates in four insurance programs; property plus, liability, workers compensation and directors and officers coverage. The Committee monitors the accidents and lawsuits against the Lodges, their Officers and members, and assists with safety issues. Each District has an Insurance and Safety Committee Chairman available to assist the Lodges with questions of insurance, claims and safety. A Lodge has full benefits from the program only if the coverage is at least 80% of Fair Market Value (FMV) at time of loss. 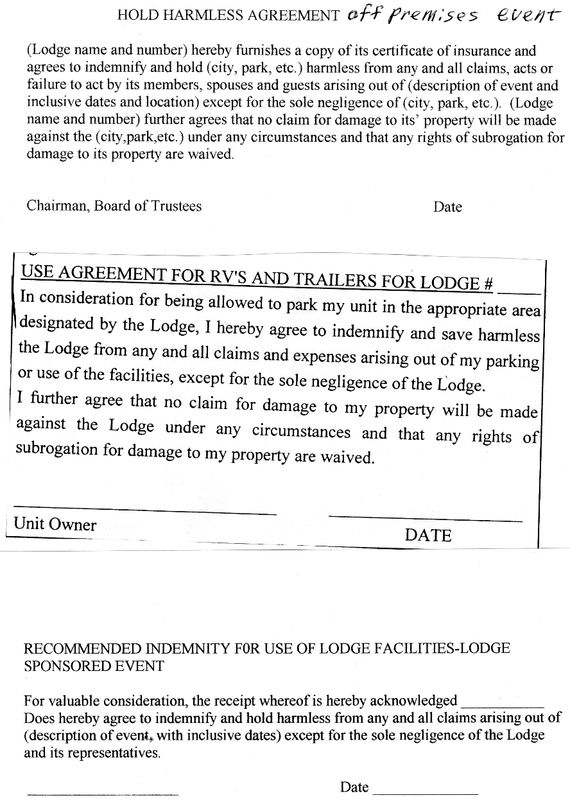 Failure to have this is mismanagement, unless the Lodge members vote for less coverage for reasons that include no plans to rebuild, or to rebuild smaller. Call the broker, Aon at 1-800-421-3557, and ask for a free appraisal. If the Lodge has 80% coverage of FMV, it will be eligible for an additional 50% of coverage for municipal code changes and upgrades. Grand Lodge recommends a deductible, which will result in a 13% reduced premium from your previous year. Every Lodge should carry Directors and Officers Insurance, which protects line officers, Secretary, Treasurer, Trustees, and volunteers acting on behalf of the Lodge. It is cheap. Any questions, contact your District Insurance and Safety Chairman or the Association Chairman. The self inspection reports should be timely and accurately performed to make the Lodge aware of dangerous conditions and to make immediate corrections. This report is in the Grand Lodge Accident Claim Prevention Manual. If you have any questions regarding accidents, claims, injuries or safety, please contact the Association Chairman or your District Chairman. All are listed in the CHEA Directory. The INVESTMENTS Committee shall consist of seven (7) members who shall be chosen from the following: one (1) Trustee from each the Association and Major Project Boards; four (4) members chosen from the membership at large who have a financial and investment background and experience; and a Past Grand Exalted Ruler from CHEA. This committee may select and use Advisors as they deem necessary. The CHEA and CHEMPI members shall each serve a one (1) year term; the four (4) at-large members a four (4) year term with one (1) such member being appointed each year. The first four (4) at-large members shall determine their initial terms of offices, i.e., 1, 2, 3, or 4 years, by lottery.The committee shall select one (1) of its members as Chairman.The committee is responsible to monitor, oversee and make recommendations for the investments of CHEA and CHEMPI, and shall have the overall responsibility therefore, in accordance with the investment policies and objectives established by the individual Boards. They shall meet at the annual Association Convention and Mid-Term Conference and report to the respective Boards and Budget Committees. Special meetings may be called by the Chairman of either Board or the Committee Chair. The LODGE ACTIVITIES Committee shall investigate and recommend ways and means of maintaining interest in meetings, projects, and activities in the Subordinate Lodges of the Benevolent and Protective Order of Elks in the states of California and Hawaii. The LODGE ACTIVITIES Committee assists the Lodge Secretary in accurately completing the Lodge’s “Survey of Volunteer, Youth Charitable, and Community Service Programs Report Sheet,” including the reporting of the participation by members and guests in Mandatory, Prescribed and Non-Prescribed Lodge Activities. Additionally the LODGE ACTIVITIES Committee should promote the “Grand Lodge Lodge Activities/State Association Committee Program of Contest and Grand Exalted Rulers Awards” by encouraging their Lodge to participate in all Grand Lodge and State Association Contests; taking maximum advantage of all of the Grand Exalted Ruler awards of recognition for which their members and Lodge qualify. The MAJOR PROJECT Committee shall operate, manage, and control the Major Project of this Association. It shall apply and expend for charitable purposes, and no other, monies paid to the Major Project Fund by the Elks of California and Hawaii or any other persons or corporations. It shall plan and execute campaigns and activities for the raising of additional monies to further said Major Project. In any matters relating to the raising of funds or the disbursement of money, the advice and consent of the majority of the members of the Board of Trustees shall be first obtained. A full and complete report of all activities and an accounting for all funds received and expended by said committee shall be submitted to each annual meeting of this Association. For more information on the Major Project, please go to our Major Project page. The MEMBERSHIP Committee shall investigate and recommend ways and means of increasing membership in the Benevolent and Protective Order of Elks within the states of California and Hawaii. For more information and to download the Grand Lodge Membership Program Manual, click here. 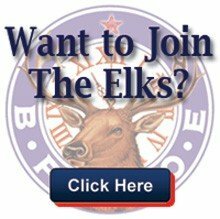 If you are interested in becoming an Elk, click here. DO YOU WANT TO KEEP YOUR NEW MEMBERS ACTIVE AND INTERESTED? Membership Retention is a must. Review the following as suggestions and aids for preserving membership. Download any or all and use accordingly. Lapsation Manual – with sample letters, ideas and membership management forms. Comments and/or suggestions are always well received. Please contact the Chairman with any comments or suggestions or requests for copies of the documents presented. The NATIONAL FOUNDATION Committee will engage in fund raising activities and promote ENF programs to support the http://www.elks.org/enf/mission.cfm mission of the Elks National Foundation to help Elks build stronger communities. We will encourage and support members, Lodges and Districts to achieve the Grand Exalted Rulers annual ENF per member giving goal. The Elks National Foundation is pledged to invest in communities where Elks live and work. It helps youth develop lifelong skills, sends students to college, meets the needs of today’s veterans, supports the charitable work of the state Elks Associations and fund projects that improve the quality of life in local Elks communities. The Community Investment Committee will encourage and support the Lodge of the California-Hawaii Elks Association to invest in the communities they serve through CIP grants – which include Beacon, Gratitude, Promise and Impact grants – in ways that will raise the Lodge’s profile, energize the membership, encourage former members to reinstate their membership, and gain the notice of people who want to be part of an organization that’s doing great things. For more information on the National Foundation working in California click on this link to visit the Grand Lodge National Foundation Site. The NATIONAL VETERANS SERVICE Committee shall formulate and carry out programs of aid to disabled or needy veterans of the military service of the United States of America, and to formulate and carry out programs for aid and service to members of the military forces of the United States of America. For more information on the National Veterans Service program, please go to the Grand Lodge National Veterans Service page. Mission: To provide an informative questionnaire program for the use of the District Leaders in developing a Lodge Officer Training Program. To provide answers to the questions and indicate the referenced publication to support the official policy of the Benevolent and Protective Order of the Elks. To annually update the questionnaire to reflect current changes to official policies. To provide Lodge Officers with a ready reference to many re-occurring questions that arises in the daily operation of the Lodge. To assist Lodge Officers to effectively respond to the challenges they encounter when interpreting management procedures and practices. To ensure that the subjects of the questionnaires are of a challenging nature and the answers are supported by reference to Grand Lodge Statutes and published manuals, including Roberts Rules of Order. Did you know that March is Purple Pig Month? Read more about it here! The PUBLIC RELATIONS Committee shall develop and maintain a strong publicity and public relations program to enhance the image of Elkdom. The program may include the training and development of members of the Lodges to attain a degree of professionalism for liaison and delivery of information to the news media. To download the manual on Managing District Public Relations, please follow this link. The RITUAL CONTEST Committee shall formulate regulations consistent with Grand Lodge Rules for the conduct and supervision of the ritualistic contests between the Subordinate Lodges of each district and in the states of California and Hawaii. The Association Committeemen shall also conduct and supervise Association ritualistic contests held at the Association Convention. The RITUAL TRAINING Committee shall formulate training programs and recommend ritual judges, word judges and calculators for certification to Grand Lodge. A Ritual Training Chairman shall be appointed from each district who shall set up training clinics in accordance with the programs of the Grand Lodge and as provided in the Grand Lodge Ritualistic Manual, to train officers, coaches, ritual judges, word judges, and calculators for the perfection of ritualistic work in the states of California and Hawaii. The SCHOLARSHIP Committee shall coordinate the program within the states of California and Hawaii, to conduct scholarship contests, and to award scholarships to worthy students. For more information on the scholarship programs offered by the Elks, please go to our Scholarships page. The SCOUTING Committee shall work with national, state and local officials, and with this Association, to promote the work of the Boy and Girl Scouts of America. Do you have a Cub Scout, Boy Scout, Venture Scout, Sea Scout or Girl Scout that has earned their highest award? Please download the appropriate certificate from your CHEA President to show the support from the California-Hawaii Elks Association for their tremendous accomplishment. With a strong emphasis placed on our Scouting program as part of the Youth Activities Elks believe that Scouting serves to provide guidance for today’s youth in leadership as well as self-confidence, communication and community awareness. The united efforts have been successful in illustrating Elks’ concern for youth as a Lodge often provides leadership, a meeting place, and program supervision for one or more Scout units. Individual Elks often serve as administrative leaders in local Boy Scout councils and districts. Additionally, Elks with a wide range of business and professional skills and talents have aided in enlarging and enriching local Scouting programs. The CHEA Scouting Committee works with national, state and local officials, to promote the work of the Boy and Girl Scouts of America. With all the changes in the Boy Scouts of America’s program, it is highly encouraged that all Scouting Chairperson keep in contact with your local BSA Council’s for firsthand knowledge of what changes are occurring in your area. If you continue to have questions, please feel free to contact the CHEA Scouting Chairman. The CHEA Scouting Chairman is in regular contact with his local BSA Council as well as the BSA National Council. Do you have a Cub Scout, Boy Scout, Venture Scout, Sea Scout or Girl Scout that has earned their highest award? Do you have an Adult Leader that you wish to recognize for the leadership to their Scouts? Please download the appropriate certificate from your CHEA President to show the support from the California-Hawaii Elks Association for their tremendous accomplishment. YOUTH ACTIVITIES Committee shall formulate ways and means by which the State Association, its Lodges and members, can most effectively assist boys and girls in the United States of America to become patriotic, capable, and law-abiding citizens, and to supervise and carry out programs in furtherance of said objective. Need to submit my qrtly report, I don’t know who to send it to or what the precedure is. We are having a void in our office now…but I hope I can get good advice from district. I saw that you do scholarships for people that have disabilities. I was cooking for my mom and family visiting from the east coast 7 years ago for thanksgiving and my mom had a new knife set, well needless to say I ended up slicing my right pinky and ring finger almost completely off. I have had 15 surgeries and can not bend or straighten my fingers. I have had two bone grafts from my wrist, attempted to take a tendon out of my arm and make a path with silicon as a tunnel to insert the tendon, but I am allergic to silicone, without knowing, and had a severe infection which caused me to have a pick line put in that was connected to my heart, a skin graft from the side of my hand to fill in the loss of skin from the infection, my ring finger is fused at the joint, my pinky broke twice because loss of motion, I have had two screws put in which will permanently be in place forever and the other surgeries were to try and save what I have left of half of my hand. The muscles in my palm had to be stitched back together as well. I am right handed just to top it all off. I am in continuous pain with it, but there is nothing my surgeon can do to fix them. Recently I have lost blood circulation in my two fingers and the blood supply will cut off momentarily until I elevate it. It is very difficult for me to type and write and I have developed arthritis and carpool-tunnel syndrome. I just turned 27 in November and worry what will be of my hand when I am older. I am going to Independence University in February for Respiratory Therapist despite the difficulty with typing and writing. I have never applied for any assistance and don’t even know if this is what I am supposed to be doing, but if I can get my story out and any help so I can further my education I would be forever grateful! I notice you do a lot for the community and it is something I would love to help out with! I used to dance ballet professionally and my dreams of that can no longer happen due to the loss of mobility and function in my hand. I had to quit my job as a server because of the pain and liability to the restaurant if i were to reinjure myself. I just want to put this negative situation into a positive light and I wont give up on my education and dreams but I just need a little help in taking that first leap of faith. Thank you for taking the time to read my story even if I don’t get the Scholarship. What you do for the community is amazing, and I wish more people would do the things you folks do! Don’t ever lose faith in humanity and hold on tight to your dreams! Best of luck and hope to hear from you soon! I do not see any committee listed as “District President’s Achievement / All American committee. Is this a brand new committee? Where can I find information on the President’s Achievement award, and the forms needed to complete? This is not a new committee. It is listed as a Special Assignment in our 2013-2014 Directory of Officers and Committee Chairmen on page 10. Ray Gomes is the Chairman. He can be reached at 209-648-4525 or rgomes2510@att.net. I hope he can help you. Are Elk Mantle Clock still given to members who recruit ? member in a given year? Thank you for your question. Please contact C. Michael Melton, Chairman, CHEA Membership Committee. 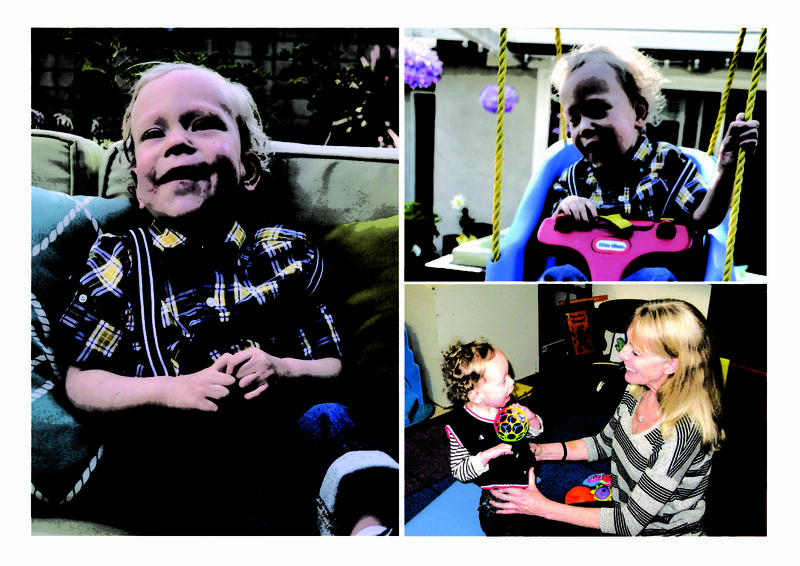 His email is cmeltonathome@msn.com or cell (310) 339-6382. Could someone please tell me how a House Committee in chosen and what HIS duties are as far as runing the house committee are I can’t seem to be able to find any information on his job as Chairman! I have forwarded your email to Timothy C. Martin, Executive Director, California-Hawaii Elks. You should hear from him shortly. Please request your Lodge By-Laws from your Lodge Secretary. You will find your answer there. Please let us know if you have any questions. Please refer to GLS 16.040. How the House Committee will be organized in your Lodge is set forth in your by-laws. The choices were (a) Exalted Ruler, three Knights and Trustees,(b)the Trustees alone, (c) the Exalted Ruler appoints 3 to 13 Members (as specified in the by-law) who serve at his/her pleasure or (d) the Board of Directors. The duties and responsibilities of the House Committee are fully described in 16.040, the Opinions and Decisions under the same statute. Your Lodge might have a local operating manual for the committee that fleshes out certain details but 16.040 is the “Bible” for the committee. I just can not believe all the information that is available if your willing to look for it. Someone has gone to a lot of trouble to set this up. A shame if it is not utilized. I’m probably the last one to find it. Do you have any guidelines for advertising in Lodge monthly magazines????? It’s my understand there are some postal regulations because of our charity staus. Thank you for your inquiry. Please refer to the Grand Lodge website at elks.org under Members Only/ Committees/ Judiciary Committee/ Manuals / Annotated Statutes or contact Phil Claiborne at Grand Lodge at philc@elks.org or 1-773-755-4700, who will be able to answer your question. How do I get into Officer training? None of our officers or trustees know the answer. The Officers Training Quizzes are not on the website. Please contact your District Leader for the quiz. Thank you. Palo Alto’s PR Chairman would like information on the Bulletin Contest. Could someone help with the name and email of the current State Pubic Relations Chairman.